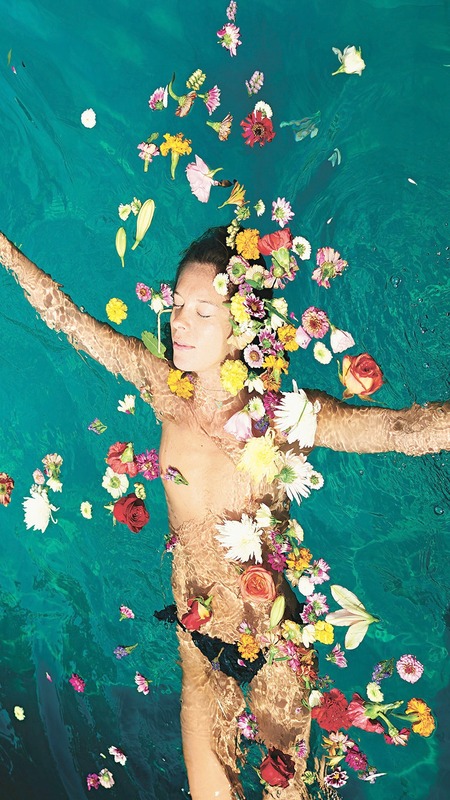 This retreat will focus on rejuvenating and energising you after a long winter - blossom back to life! 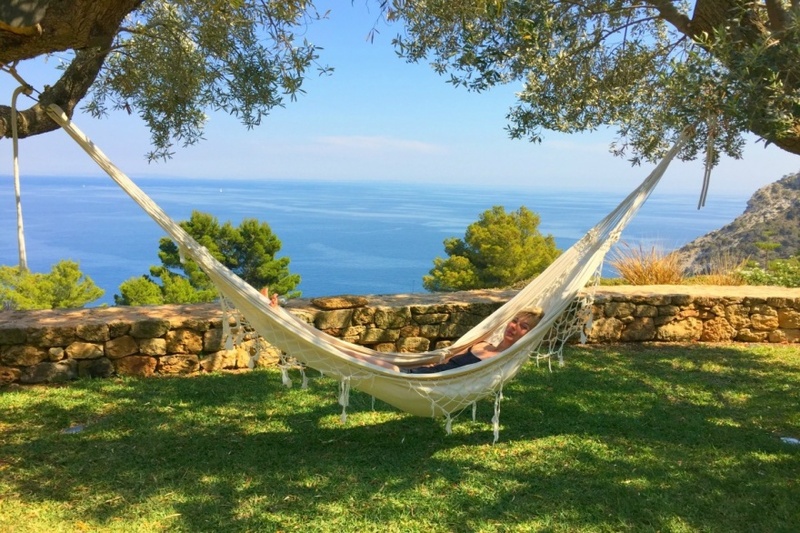 Prepare yourself to breath the fresh air of spring, smell the flowers, walk the red soil and allow Ibiza’s powerful energy to awaken you from within. 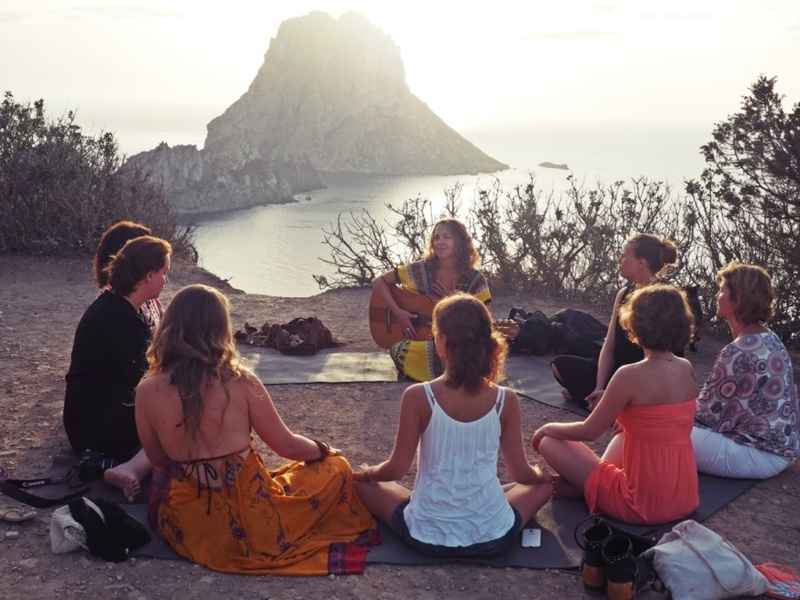 During this week you will experience the true spirit of Ibiza whilst discovering your inner self. We will offer excursions to hippie markets, beaches and Ibiza town. We will dance to the drums at Benirras and hike through nature towards the magic crystal rock Es Vedra. Starting the day in silence with meditation followed by yoga practice in the morning, yin/restorative yoga in the afternoon mixed with inspiring workshops we aim for you to feel transformed, awaken and peaceful after this week. We have chosen a very special and calming location away from all the hustle and bustle of our busy lifestyle. 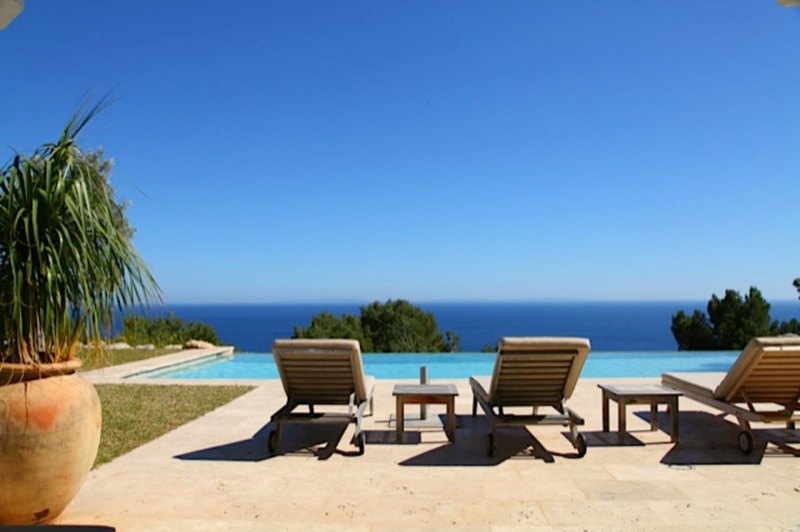 Our hillside luxurious private Villa is surrounded by beautiful cliffs, stunning sea view, pool and only a short walk away from the sea. 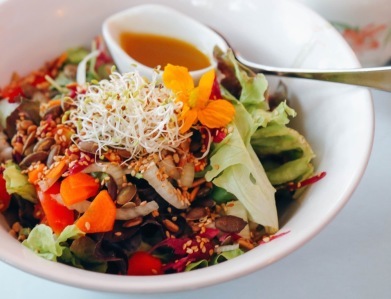 Our carefully selected chef is specialised in raw/vegan food that will help you detox and feel amazing from the inside -out. 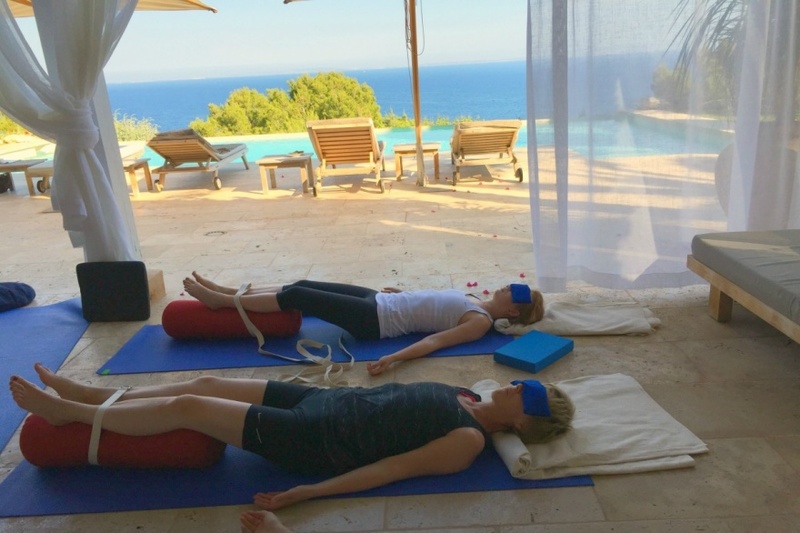 Ebba, Rhona will guide you during the week and they are both highly qualified and dedicated yogis with much previous experience of hosting and facilitating retreats. We look forward to look after you and show you this special island! 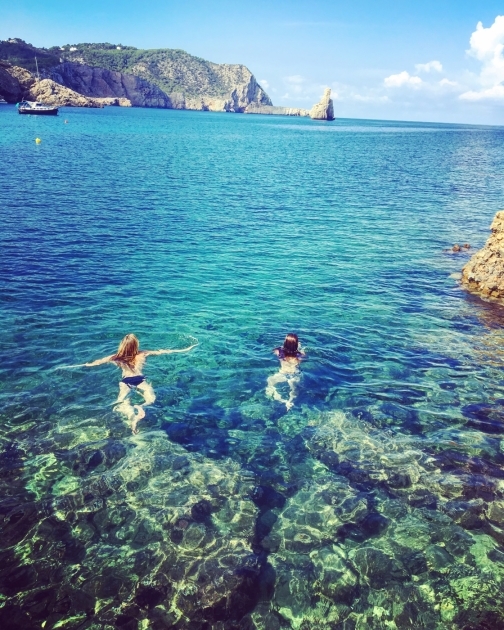 Ibiza is magical! There is just no other way to describe it... 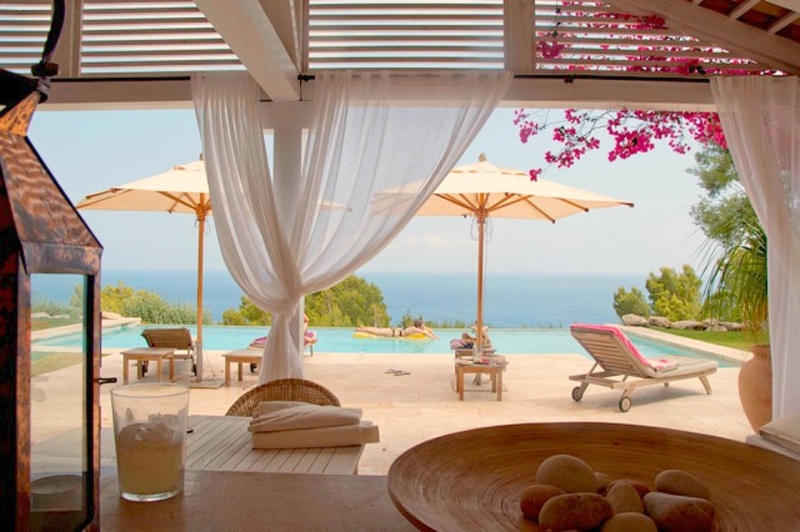 When you say Ibiza, many might know the island for its massive party scene and glamourous jetsetters, but that is just one part of the island. 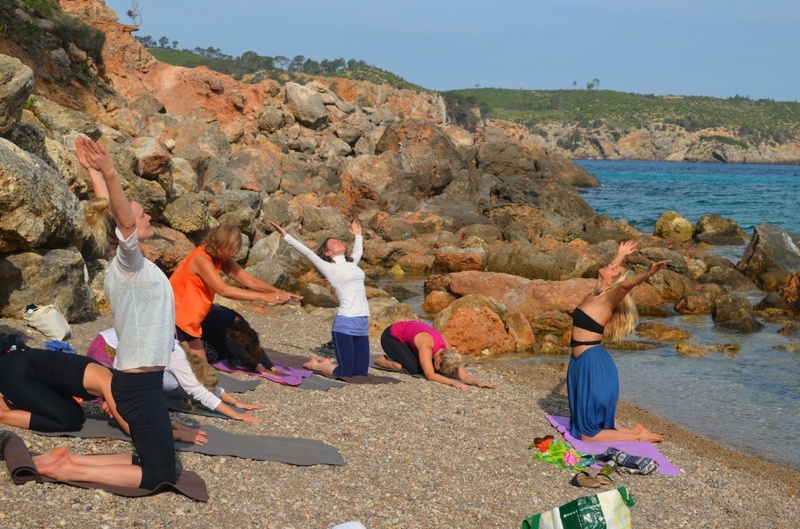 Ibiza is also destination for many yogis, healers and spiritual seekers. 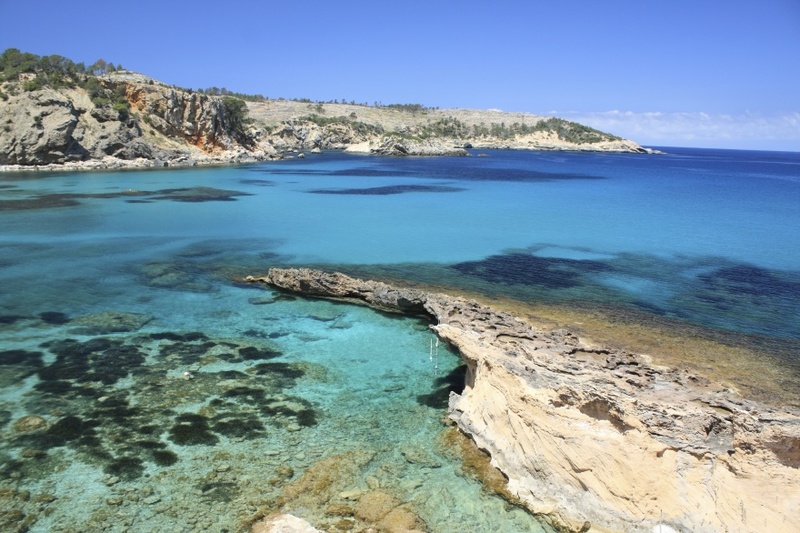 There is endless of myths and storys about the island and during the week we will show you "THE REAL IBIZA". 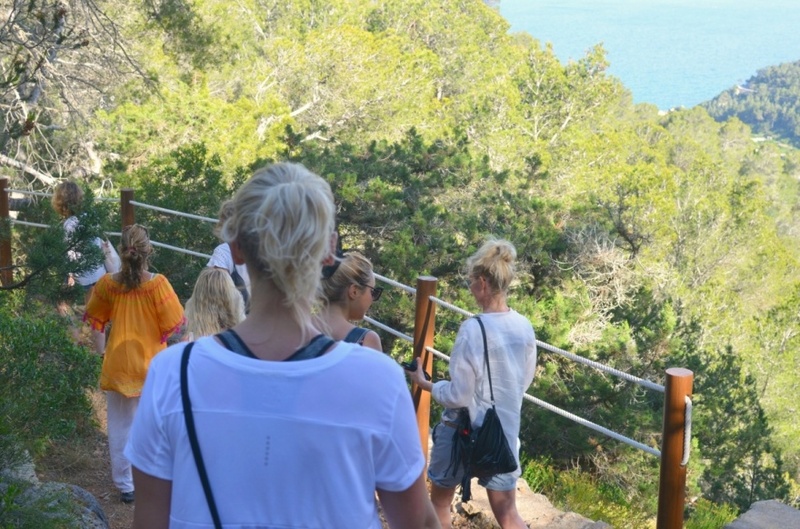 The people that fall in love Ibiza get "called back to the island" year after year for their "Ibiza-experience". 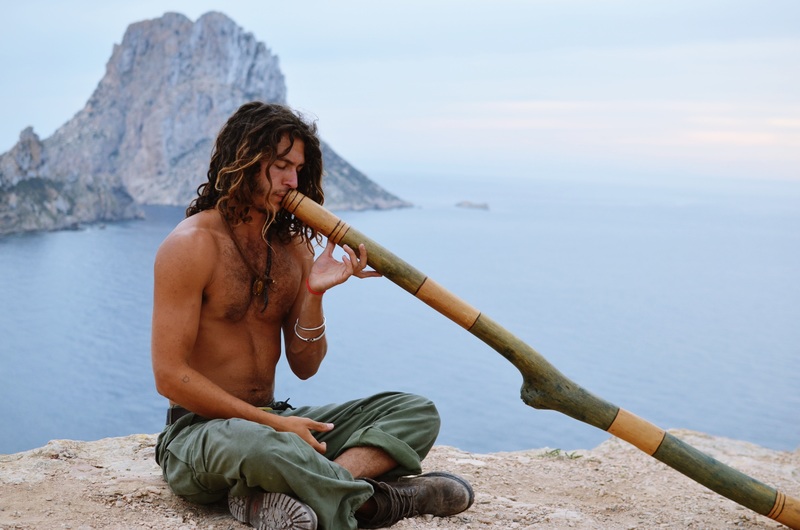 Whoever you are, everyone who comes to Ibiza has one thing in common; they love the free-spirited non-judgemental atmosphere and to enjoy life! · Stamp your feet into the earth dance to the drums in Benirras. 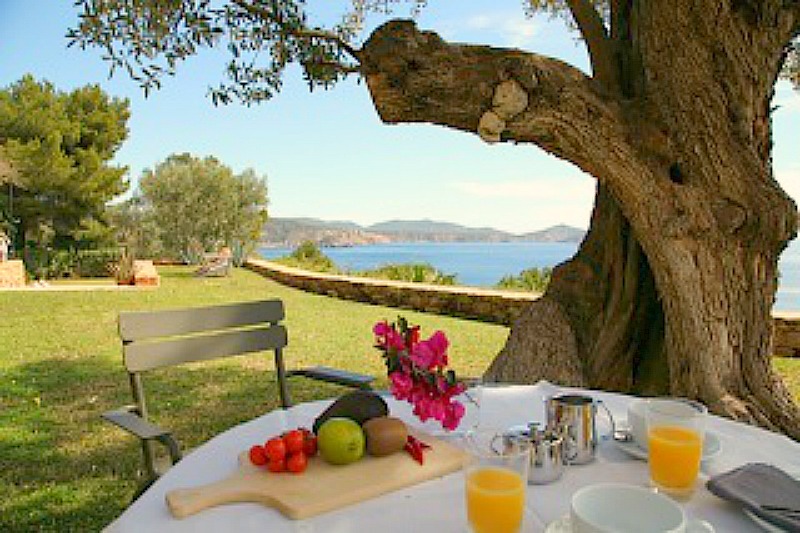 · Fruits served at the beach after yoga and possibility to do a clay bath and perhaps take a mermaid swim! During the week you will get introduced to a couple of diffrent yoga-styles. Classes will be sutiable for all levels. Morning class will start in silence with a 30 minute meditation followed by a more dynamic morning class. Evening class will be in a more calm meditative/workshop-form. 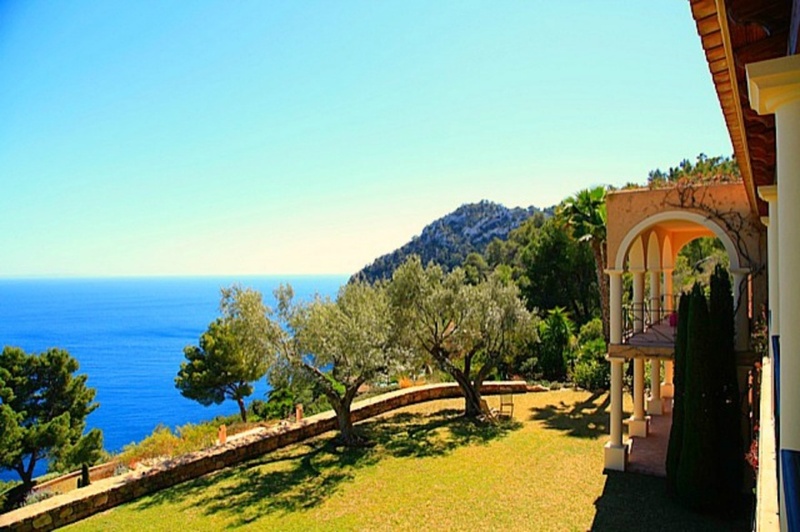 Beautiful villa located in a very peaceful inviroment. Beautiful garden with bougainvilla flowers climbing the walls of the house and breath taking view over the sea. 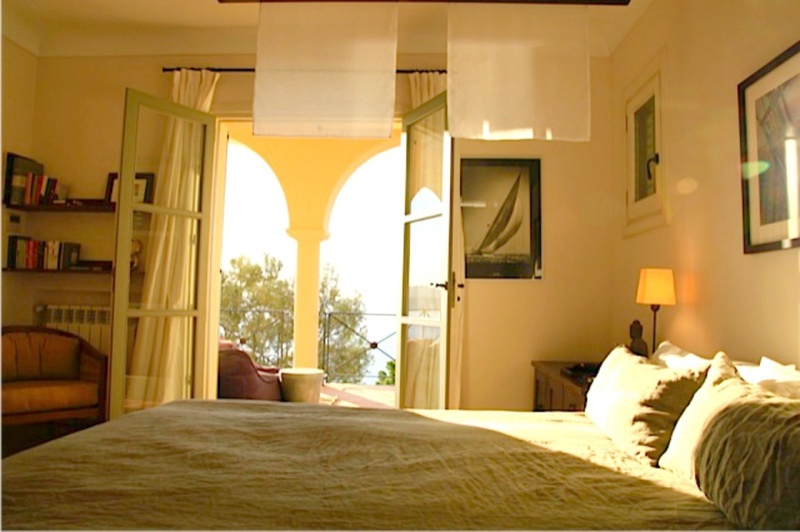 The villa offers tastefully decorated double bedrooms, with en-suite bathrooms. There is many places for us to do yoga in the natural sourroundings or we have a shaded dreamy area looking over the stunning view. 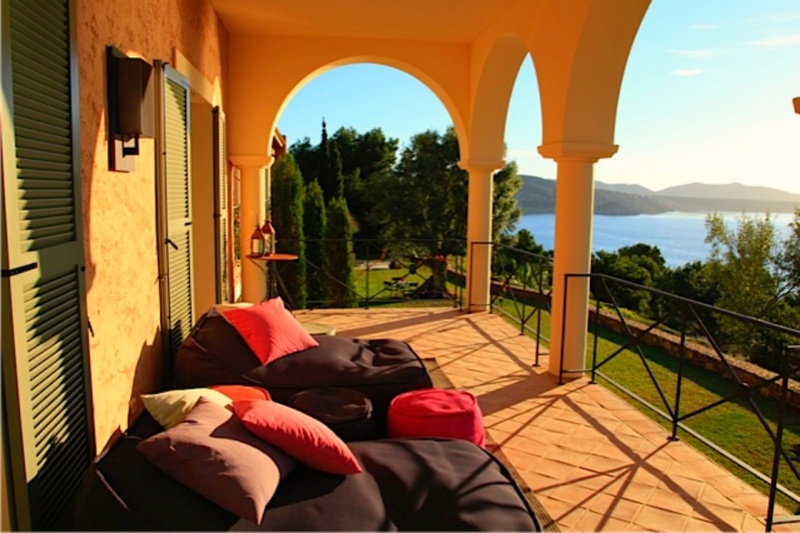 The villa also leaves a lot of room for privacy both indoor and out and you fill find many terraces to relax on. We also have a pool table and table tennis for those of you looking for some light action during the day. Whenever you had enough of the pool, remember the sea is only a stone throw away (about 10 min walk). We like to inform you that the rooms are all double rooms so if you choose a shared accamodation we will supply an extra bed. If you travelling with someone you can think of sharing a bed with, we offer a 10 % discount since it's much more convinient for us! The food we offer during the retreat is also a part of the transformation you will experience this week. Home cooked vegetarian/raw nutritious and delicious healing food that will help you to rejuvenate, get more energy and feel healthier. Wherever possible most of our products will be sourced locally. 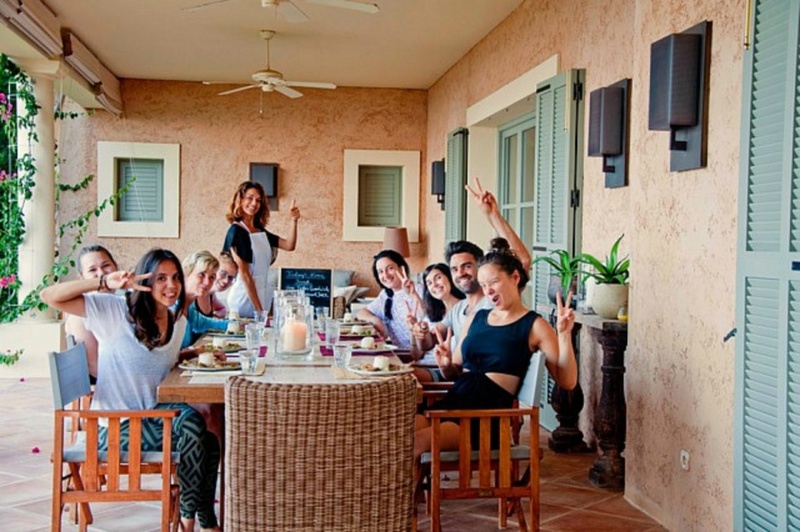 The fertile earth of Ibiza produces tons of fresh and colourful vegetables, fruit and nuts. 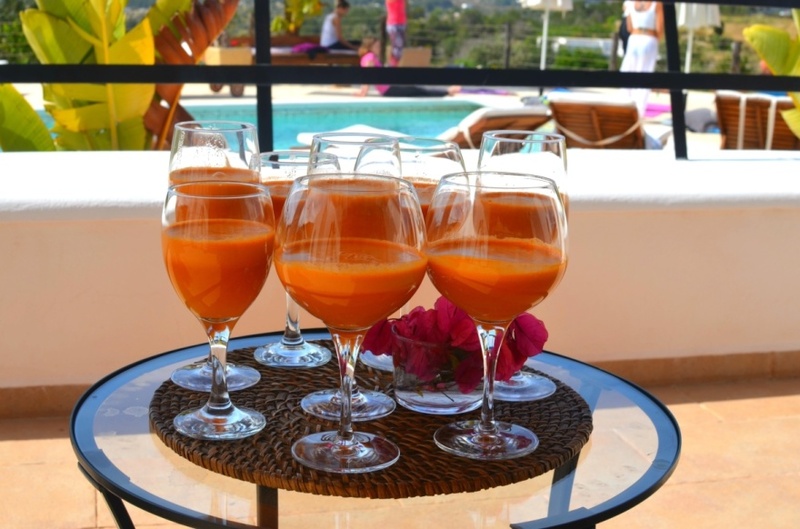 After each morning yoga class, you will enjoy a yoga brunch and a freshly pressed juice. 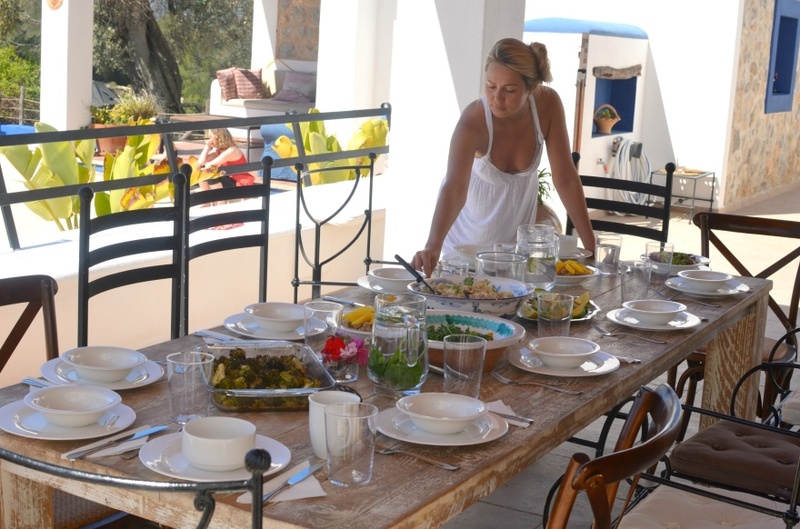 After evening class or workshop you get to taste a fantastic heart made dinner cooked by our amazing retreat chef. One night we will have a BBQ at the house and for those who like we will serve fresh local fish! 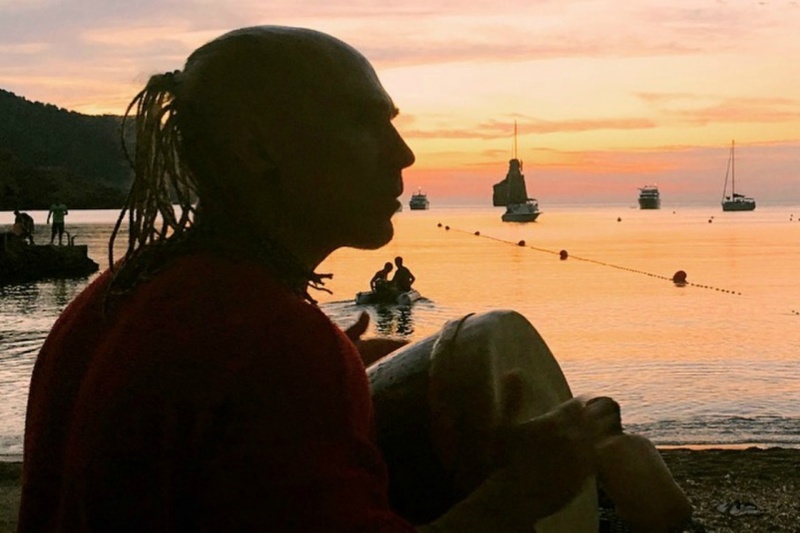 On Sunday we will enjoy a picnic on the beach and later dance to the drums in the sunset. On our final evening (Monday) we will take you to one of our favourite island eateries (notice that this meal is not included). We will pick you up at the airport, you might have to wait a bit for your fellow travellers, but we have two cars so hopefully things will flow well. If you don't like to wait or arrive very early/late you can get to the villa in a short taxiride. If you like to go to another nearby beach, we help you if we have possibility or we can arrange taxi to come pick you up. All our excursions transfer is included. If you like more freedom we recommend to rent a car to explore the island further.